"Sepetçi uses the bedrock of Volkan Sever’s synth insanity as a jumping off point for some truly crazy solos. His fluttering sheets of notes tie knots around the pulsating, fried synthesizer. For this recording session, Sepetçi brought in two drummers, Fatih Özden (tapan) and Samet Sertol (darabouka), to play along with the Turkish drum machine. A dense nest of rhythmic complexity is the result. And to further connect to this music’s rich past, the ancient double reed zurna of Ahmet Özden and Yaşar Uçar’s European violin weave ancient melodies and incredible solos throughout, [accompanied by Vahdet Ustaoğlu'on kanun]." What we have here then, are some of Istanbul's prime instrumentalists on one record, doing what they do best. 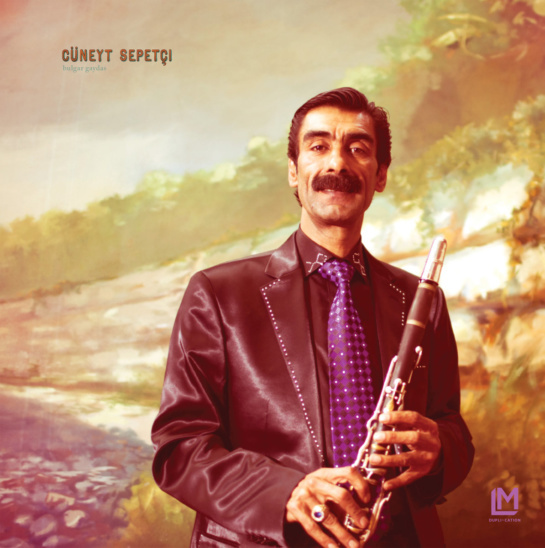 All of the songs were recorded live as first takes, as Sepetçi leads his fellow musicians through the intricate and infectious arrangements. Also, rumour has it, that a first European tour is currently in the making for fall 2018. We will keep you posted. Until then, you can stream/buy the album via Bandcamp or listen to his live performance with Orchestra Dolapdere at the 2014 Roskilde festival (recorded by The Lake Radio) via the SoundCloud player above.